You must be wondering what this Hentry is!!!! We will get into that. We will also discuss how can you fix this error and what benefits are there for your website. This Hentry error can be a tricky one but thanks the god for spawning you with a WordPress website. It makes it easy for you to fix the hentry error. First, let’s understand what hentry is. So, without further ado, let’s get you started. Microformats.org explained brilliantly what Hentry is. According to them, when a root class name designates the existence of an hAtom entry, that root class is named as hentry. So, you can say that hentry is a part of hAtom. It usually shows the way to the search engine that the content in the web blog is available for syndicated. In simple language, it is a block that has the posts which can be displayed in the feeds. Search engine bots need the title of the post, the main content of the body, the name of the author, and the publishing date. Hentry helps the search engine bots to find these items in one place. Then where the problem lies??? It is clear from above that, in order to parse hentry, you need those above entries. In general, Pages don’t show the date of publication and the name of the author. WordPress then descend as a guardian spirit. It automatically adds the hentry no matter what the post is about when the WordPress theme uses post_class( ). In short, if you are getting an error, then your WordPress theme is not following these steps. Hentry is a structured data, right? 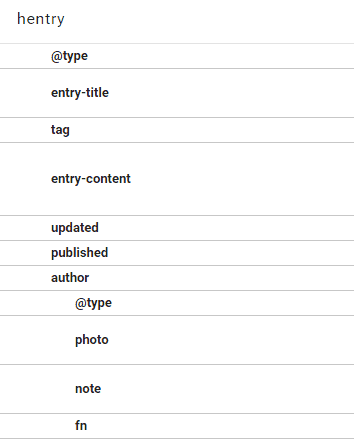 A Structured data guides the search engine to understand the content of your website in the much better way. Suppose, your website has a review of some random post on your website and you want Google to show the review in the search results. This is where structured data will help you. They will convey the message to the search engine that, “Dear Google, this website wants to display review stars, please show the users the review of the product” in computer codes. Before you do any of that, you must understand that there is no such thing as official Google ranking factor of structured data. Here you are not doing any SEO hack for better ranking. It is just an activity to make your website easier for your user. In addition to that, if you don’t want to fix the error, then just don’t. There is no penalty or fall in your SEO ranking for not fixing the Hentry error. It is just to make sure that your user grasps the information you want to share from your WordPress website easily. One of the easiest way to remove the error is to remove the element. You must be wondering like WHAT!!!! Now, let’s move to the real fix of the hentry error. First things first. You need to make some amendments before you start fixing this issue. You need to go to your WordPress theme’s files. Your theme structure is not same now (I reckon you must have observed that). So, you must specify the location of the error. Don’t worry!!! It is easy to locate the location of the occurrence of the errors. Google Search Console got you covered in that. First, click Search Appearance on the Top left side of the screen, then select Structured data option. Now near the bottom of the page, you will see an option as “hentry” under the Data Type Column. If the error is in page URL, then the error must be in the page.php file; If the error is in the post URL, then the error probably present in the single.php; while if the error is in a category URL, you will find the error in the archive.php file. Once you find the location of the errors, all you need to do is fix them with appropriate action. Have a look at this subsection. Is Your File Missing Author? Is Your File Missing Title? Is Your File Missing The Updated Class? There is a possibility that your page or the post is missing the “Updated” CSS class. Make sure that you create it correctly. How Would You Test The Changes? 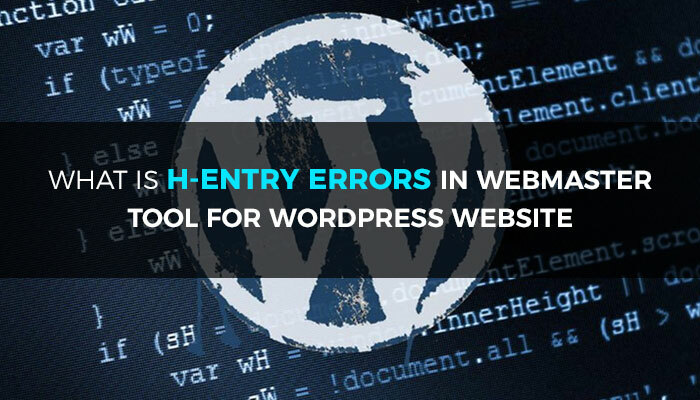 I hope this guide will help you in identifying the hentry errors and fix them. Do you think hentry errors are important to fix? You know it doesn’t have any SEO relevance. Let me know your thoughts via the comments section. Yes, This guide helped but not able to know to fix the error. How do i fix error? In my blog which is in blogspot and i am new. So kindly guide me to solve this problem and also tell about any plugin for blogger.